i celebrated my birthday the other day. normally my birthday is no big deal, but this year i had some money to spend, and it seems that friends were also happy to help me celebrate, so it was a blissful few days feeling high on the love and the retail therapy. friends gifted me some wonderful artist supplies! more golden paints in colors i didn't yet have, and an amazing set of brushes! i also had many well wishes on Facebook that kept me smiling thru the day, and my mother and aunt came to bring me out to lunch. yummmm! sweetie came home with some canvasses and a sketchbook for me. the next day my adorable hubby took off work in order for us to look at a car! i had my eye on this car for a while but never thought i'd be able to afford one. i had found a few in my price range with the options i wanted, but they were pretty far away. heated seats are a must for me in the cold new england winters and with my pain issues. i also wanted a sunroof and back-up camera. i was going to be picky and not feel any guilt about it! it took all day, and with a little bit of drama, but i was able to bring my baby home! 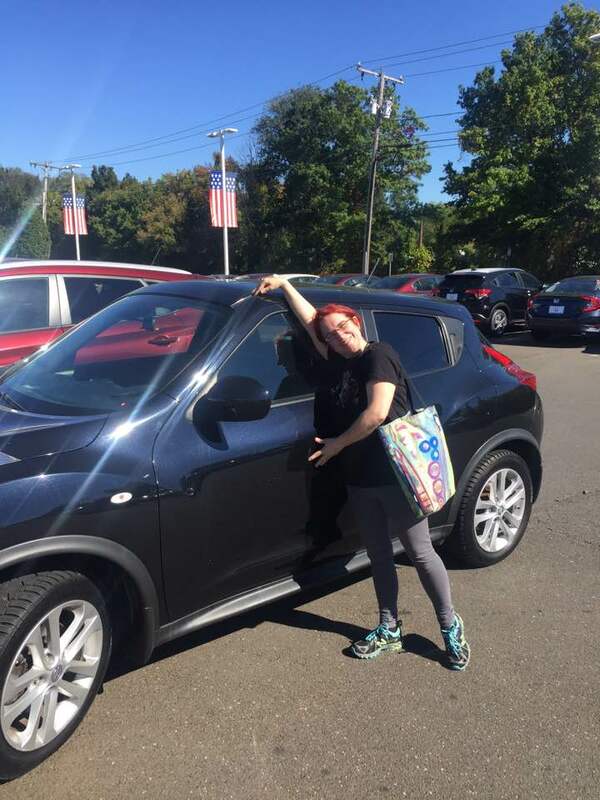 she is a 2011 nissan juke SL, with all wheel drive which should be great in the snow. and she's all mine!!! "i will hug her and squeeze her and call her pearl"
all in all, i think 49 may be a good one, if the last few days are any indication.